AUD was supported due to the Assistant Governor Kent’s speech. 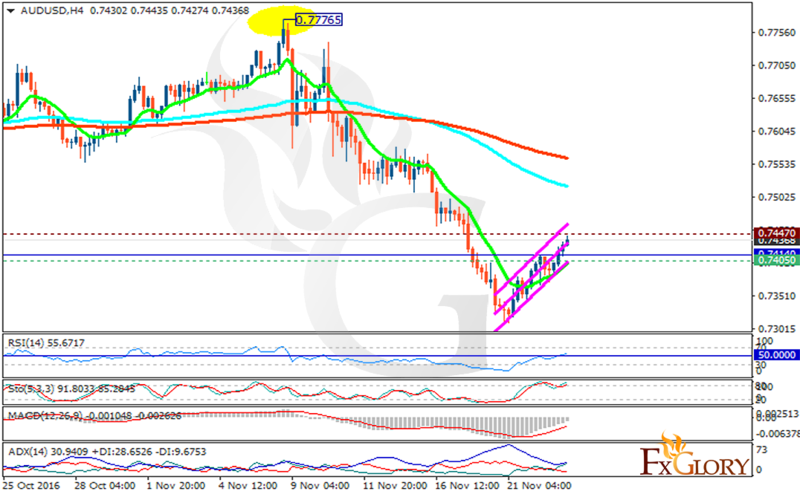 The support rests in 0.74050 with resistance at 0.74470 which the weekly pivot point at 0.74140 is located in between the lines. The EMA of 10 is moving with bullish bias and it is located below the EMA of 100 and the EMA of 200. The RSI is moving on 50 level, the MACD indicator is rising towards the neutral zone and the Stochastic is showing upward momentum. The ADX is showing a buy signal at the moment. The resistance level breakout will be a good buy opportunity for buyers targeting 0.7450.